Bison in town? Oh my! Comments Off on Bison in town? Oh my! Toward the end of a remarkable Montana Public Radio series we see and hear from high school students in Gardiner, Montana, who have learned how to get along with bison on their football field. Now I know how they get rid of the bison patties I’ve often seen there, especially in winter and early spring. Students with detention get to pick them up and put them in buckets. I first mentioned the seven-part podcast titled Threshold from MPR in my May 17th blog post. Since then, I’ve made it a point to listen to all the parts. It’s well worth the half hour each one takes. Amy Martin and her team are doing a superb job giving us a balanced and often moving report on what is being done to bring large numbers of bison back to northern Montana’s plains. Until the end of the nineteenth century, an estimated sixty million of them roamed the Great Plains and were essential to the natives’ way of life. 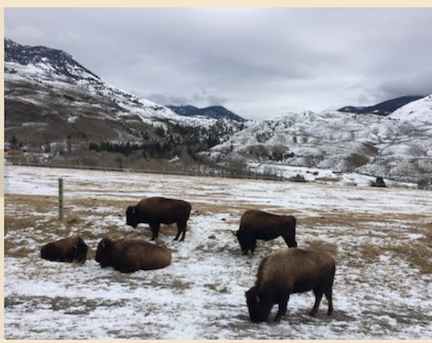 Listen to the MPR podcast to learn what Montana’s tribes and other interested people are doing to help restore bison to the plains. If you, like me, are enjoying the comforts of home on this long weekend instead of fighting the crowds on the roads or in the airports, I’d like to recommend a series of podcasts I learned about last month but have not had time to absorb before. 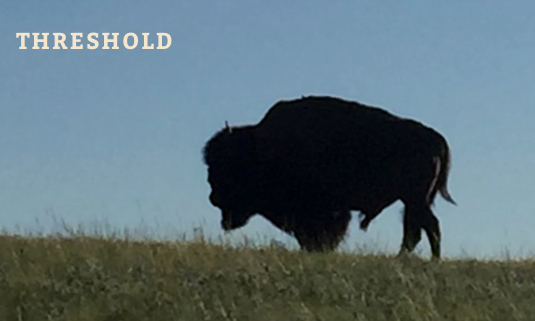 Amy Martin and associates at Montana Public Radio have put together “Threshold,” a series of episodes that dramatizes the story and importance of bison to the Native American Indians. It is an amazingly well-researched and well-presented program and worth a listen to its seven half-hour-long episodes. When I first tuned into this on my computer, I didn’t realize that you could click on the thumbnail slides and get your own slideshow related to the history being revealed by the dialog. Now I’m hooked and will somehow make time to listen to this entire series before I leave for Yellowstone on June 12th. Where Can I See Animals in Yellowstone Park? Comments Off on Where Can I See Animals in Yellowstone Park? Many visitors to Yellowstone go with the primary goal of seeing wild animals. And some go only to view the wolves of Lamar Valley with spotting scopes and binoculars. Back before the first edition of Yellowstone Treasures was published, and thinking it might be helpful to such visitors using my guidebook, I worked with my mapmaker, Linton Brown, to place animal and bird icons in likely places on our fourteen maps that show the park’s roads. The idea for this came from my model, the Haynes Guides, which my family used when I was a child. 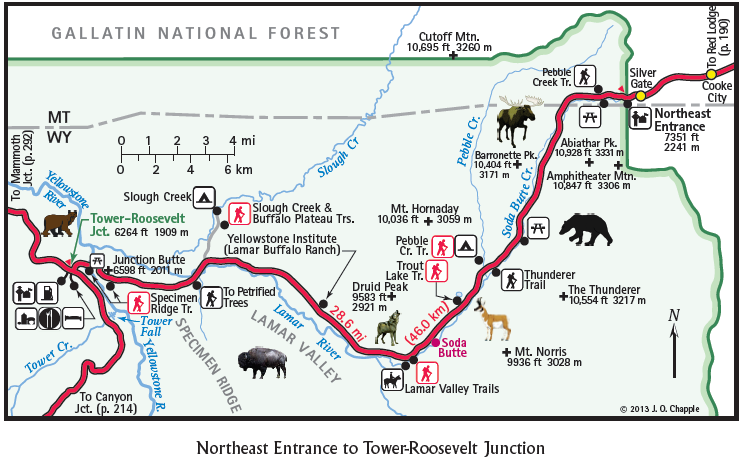 Here’s a sample of the maps in Yellowstone Treasures. The trouble is that Yellowstone is not a zoo and the charismatic megafauna (as some tongue-in-cheek naturalists have dubbed the big animals) may roam anywhere they choose. The vast majority of park territory is not near the roads, but I had seen animals without going into the backcountry during my many visits to the park. I asked Linton to put icons in those locations. Much later, I was amused when another reviewer commented how he had enjoyed using the guidebook, and said, “she even shows where the animals are”! No guarantees, but using our maps may give you a better than average chance of fulfilling your dream of seeing bison and elk. 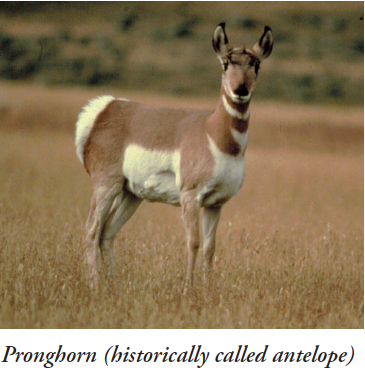 With luck, you may even see bears, bighorn sheep—and my favorite, the beautiful pronghorn antelope. In our fifth edition we cannot add driving tours for animal “shows,” as Mr. Day suggested. That would take pages and pages, and it’s already a big book. But we can direct you to use and enjoy our maps. In this special summer when record numbers are expected in all the nation’s parks due to the centennial of the National Park Service, gas prices are down somewhat, and many foreign tourists (especially those from China) are touring the U.S., a neighbor has sent me a perceptive account of her British friends’ June trip through Yellowstone. I think reading Annie’s comments about Yellowstone may be both entertaining and helpful to people visiting in the next two or three months, so I’m passing along some excerpts from the message she recently sent my neighbor. You’ll learn both the plusses and minuses of a 2016 summer visit! 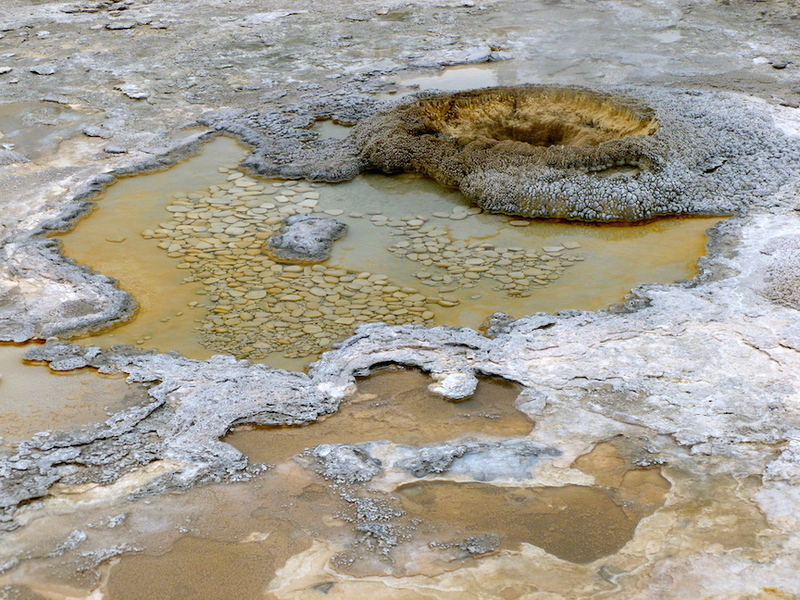 Pictures here of Aurum Spring at Upper Geyser Basin and Naiad Spring at Mammoth Hot Springs are courtesy of Suzanne Cane, taken in 2013. Our next National Park was Yellowstone, which you can enter by driving through The Grand Tetons and using the South Entrance. We have now visited so many parks that we wondered what Yellowstone could offer that would amaze us yet again. [The morning after settling into their campsite] From past experience we know you have to go in the parks early so we headed in about 7 am, our aim being to get to the old Faithful Geyser, so named as it erupts more reliably than any other big geysers. At present it erupts roughly every 90 minutes. It expels anywhere between 4–8 thousand gallons of boiling water and reaches a height between 1–2 hundred feet. It is not the largest geyser in the park, but you are guaranteed to see it blow. We had around 40 minutes to wait so took a walk around Geyser Hill. It was a truly surreal experience; the Park has built boardwalks around the geysers, and walking around there is a strong smell of sulphur, which Paul hated. I felt it was rather healthy to inhale and clear the lungs. (Ed., Venus, Mars…) The pools vary in size and colour, some small with luminous turquoises and blues. The large ones can be almost obscured with steam, but the wind will momentarily clear it to show crystal clear water bubbling away. Then there are the mud pools which go gloop, gloop, gloop and really stink. We saw some small eruptions but nothing amazing. What was surprising was the number of flowers growing quite close to the geysers’ centres. We headed back to Old Faithful, which was now due to erupt. The photographers had gathered but there is a large viewing area all around the geyser. There were several false alarms with little spouts of water and massive eruptions of steam, then suddenly she was off—huge column of water rising into the air followed by clouds of steam. It lasted for about 3 minutes and was truly impressive. Leaving Old Faithful we drove slowly along the Yellowstone Lake, one of the world’s largest alpine lakes, its shores are volcanic beaches. To the east and southeast of the lakes are the wild and snowcapped Absaroka Range of mountains. Truly beautiful. Next day we went into the park a bit later, which was a big mistake, crowds of people and difficulty parking at various view points. . . . [Driving north of Beryl Spring, between Madison and Norris,] we got stuck in a massive line of cars. We thought it was road works, slowly we crawled along until finally we got to an open clearing and found cars stopping all over the road to photograph bison, really!—hardly the most enchanting of animals and how many photos do you need? That put me in a bad mood as it seems so selfish. 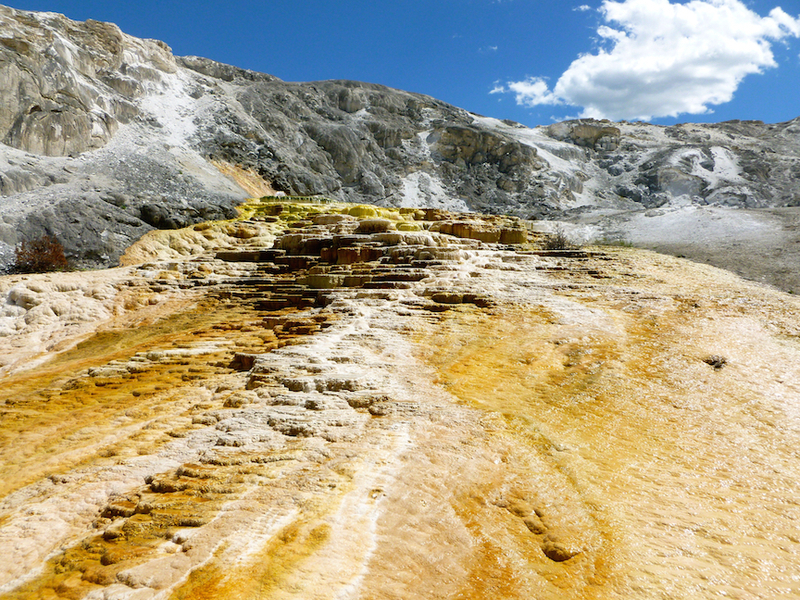 [Unable to find parking at Norris Geyser Basin] we headed on around to Mammoth Hot Springs. Lots of car parks but very busy and we finally got into one and set off on the boardwalk. The hot springs here have created very strange rock formations like steps with boiling water running down them, large pools of iridescent green and blue, bubbling and steaming. . . . I walked higher and higher, and at the top you have an overlook of all the spectacular terraces. Naiad Spring, about halfway up the stairs from the Mammoth Lower Terrace parking areas, became active in 2012. Most of the geysers are in the Southern Loop. . . We headed in on day 3 at about 7 am and reached Biscuit and Black Sand Basin well before the crowds. It is really difficult to do justice to these geysers. One favourite was Excelsior Crater; it was completely covered in steam which also enveloped us, and as we reached the far side of the pool the wind cleared, the steam momentarily revealing the brilliant colours in the water, at the edges light turquoise getting darker and then deep blue in the centre, and really clear. Quite phenomenal. Grand Prismatic Spring was quite dramatic, as from a distance you can see the steam is coloured blue, mauve, red, pink and yellow. As you get nearer the steam swirls about you and it is a really eerie feeling. Unique and, yes, awesome!! Yellowstone is a fantastic park, we gave it 5 days but really do need longer to explore it. The Livingston Enterprise recently reported a rare coming-together of often contentious parties. Federal, state, and tribal agencies that manage Yellowstone Park bison have agreed to let bison stay in parts of Montana year-round. The members of the Interagency Bison Management Plan have verbally agreed to Montana Governor Steve Bullock’s decision to allow the big animals to roam outside the park in search of food on an estimated 400 square miles north and west of the park. Searching through my past blog posts for what I’ve written before about bison, I can only find rare mentions of the biggest and perhaps most charismatic of Yellowstone’s “charismatic megafauna.” And even in the thirty-five or more “Nuggets” of park information I’ve supplied, somehow I’ve managed to skip writing about bison. These days, when you go to the park, you may not see bears or wolves, and even elk are not so common as they were when I started writing about the park. But bison?—oh, yes, you’ll see herds of them! Wild animals are not even mentioned in the 1872 act of Congress that set aside “a certain Tract of Land lying near the Head-waters of the Yellowstone River” in “the Territories of Montana and Wyoming.” Regulations were to be set up for the preservation of “timber, mineral deposits, natural curiosities, or wonders,” and “wanton destruction of the fish and game” was frowned upon. That animals were not mentioned in the Organic Act does not surprise me, since in the 1870s there were still millions of bison in the U.S. West, and other wild animals were everywhere, too. What need was there to preserve them? The fate of the bison illustrates probably the most grievous case of man’s wanton destruction of a natural resource in America’s history. Not only did hunters nearly eradicate the bison during the last decades of the 19th century, but the slaughter was actually encouraged by the government to suppress the Native American Indians who depended upon them. During the 20th century, different efforts to bring bison back to Yellowstone met with varying success, but now there are close to 5,000 of them in and near the park. This is really too many to be manageable in the parts of the park where they prefer to graze. In recent decades the question of whether they can transmit brucellosis to domestic cattle has greatly complicated the scene and caused major strife between the National Park Service and other interested agencies. Brucellosis is a disease that can cause a pregnant cow to abort her calf, understandably a concern for Montana ranchers. But no cases of the disease being transmitted from bison to cattle have ever been documented, and besides, elk can also carry brucellosis. Since 2000, wandering bison have sometimes been hazed back into the park in wintertime. Some have been quarantined and others relocated to Indian reservations. With this spring’s new regulation, the iconic animal that appeared on the “buffalo nickel” for decades has a better chance to survive severe winters. I must issue a word of warning, though: more people are injured in Yellowstone by bison than by any other animal. Lately visitors are being injured and even killed while taking so-called selfies. Bison look placid but are NOT tame and can run very fast. Stay at least 25 yards away—unless, while driving, you are caught in a “bison jam.” This happens especially in Hayden Valley, where the animals frequently cross the highway. In that case, stay in your car and wait patiently! What is meant by “Greater Yellowstone”? Comments Off on What is meant by “Greater Yellowstone”? Back in 1872, when Congress was wise enough to set aside a large area of “useless” land and name it the Yellowstone National Park, the main purpose was to reserve the remarkable geothermal features and their surroundings “for the benefit and enjoyment of the people.” This phrase was later inscribed on the park’s North Entrance Arch. Park boundaries were set to correspond to obvious natural features and partially along lines of longitude and latitude. Protecting wild animals was not a big concern in 1872, since there seemed to be a great many of them. But it soon became apparent that they needed protection from overzealous hunters. Concern for the buffalo (now usually called bison) was great. 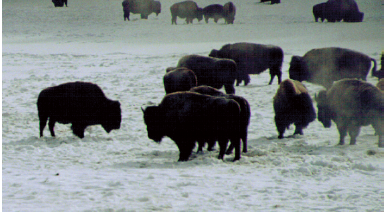 They were rapidly being wiped out, largely because of government policy that rewarded buffalo hunters richly. Native American Plains Indians depended upon the buffalo for their very livelihood, but U.S. officials wanted the tribes to settle on reservations and make life safer for Eastern homesteaders. Even before bison were nearly driven to extinction, people who cared about preserving wildlife and the western lands from rampant development moved to set aside more land for special protection. In 1891 the Department of the Interior created the Yellowstone Park Forest Reservation (now part of Shoshone National Forest), paving the way for today’s 155 national forests. local agencies also found by the 1970s that cutthroat trout, pronghorn (also called antelope), whitebark pine, and quaking aspen trees were of special concern. An area of about four million acres with Yellowstone at its center was christened the Greater Yellowstone Ecosystem. In 1986 the federal government recognized Greater Yellowstone, when a joint congressional committee report outlined shortcomings in interagency coordination and concluded that the area’s essential values were at risk. Exact boundaries of the GYE are hard to define, and they keep changing over the years. 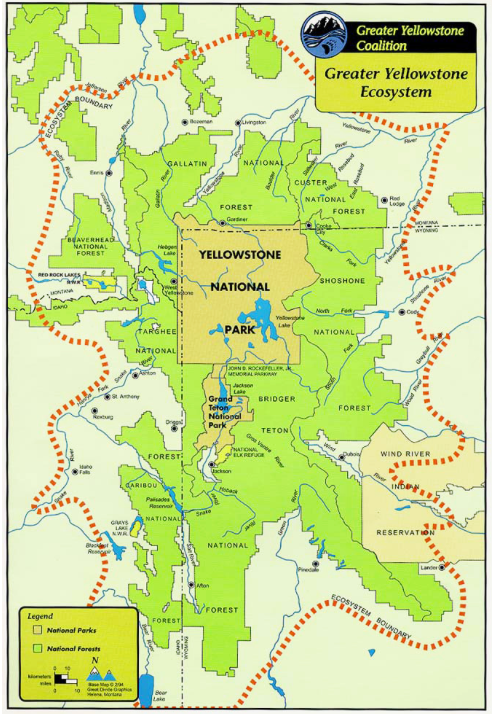 Map from Greater Yellowstone Coalition website. •	Managed by state governments, federal government, tribal governments, and private individuals. In addition to government agencies like the Interior Department’s National Park Service and the Forest Service (part of the Department of Agriculture), a number of nonprofit agencies work to help preserve Greater Yellowstone; National Wildlife Federation, Defenders of Wildlife, and the Greater Yellowstone Coalition are three of them. Two prime concerns of all these entities are climate change and providing corridors for wildlife migrations. Another spectacular mountain area farther north is the Crown of the Continent, an initiative spearheaded by University of Montana geography professor Rick Graetz with the assistance of his wife Susie Graetz and others. Covering the area centered upon Waterton-Glacier International Peace Park, it extends some 250 miles from Alberta, Canada south along the Continental Divide into central Wyoming. Educators and governmental agencies in this entire area are stressing the interconnectedness of the ecology of this beautiful mountainous area all the way from Alberta, Canada to west-central Wyoming. I was interested to find that western North America is not the only part of the world pondering this question. An Australian website states: “Wildlife corridors can range in size – from small corridors created by local communities to large corridors that stretch across many different landscapes. “For example, a small corridor might be an area along a creek that has been revegetated by a local community group to link two patches of forest. Native animals could then move more freely between these forests to find food, shelter and opportunities to breed. A puzzle I have not been able to solve in my research into the two U.S. entities is whether they would wish to connect the Crown of the Continent with the Greater Yellowstone Ecosystem, since there’s a large part of Montana between them where many people live. 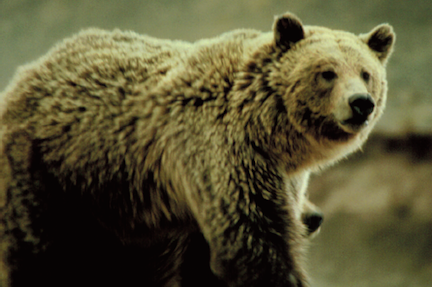 Grizzlies and wolves are not compatible with what we consider civilization. Perhaps just making more people aware of the beauties of the two areas, the threats to the species we share them with, and how we can help preserve them is enough for now. What are the different species of mammals in Yellowstone Park? Comments Off on What are the different species of mammals in Yellowstone Park? On the website Quora.com, someone recently asked about the mammals one sees in Yellowstone Park, so I tried my hand at an answer. I’m not a real animal person, being more enamored with things that stay in one place like geysers, hot springs, flowers, lakes, waterfalls, and mountains, yet I have personally seen all but the rarer animals in my many visits to Yellowstone. The big mammals—sometimes called “charismatic megafauna” with tongue in cheek—are the bison (around 4000 currently), the elk (8,000 to 10,000), the moose (very scarce, and more often seen in neighboring Grand Teton National Park), and both grizzly and black bear (several hundred of each). 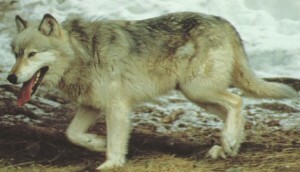 The gray wolf population is hovering around 100. Mule deer are much more common than white-tailed deer. Then there’s the pronghorn (commonly but incorrectly called antelope)—my favorite animal for being so beautiful, graceful, and fast. 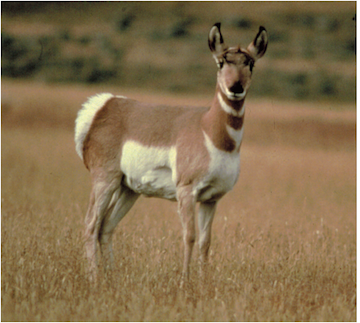 Their population fluctuates around a couple of hundred seen in northern Yellowstone, as are bighorn sheep. Coyotes are very common, less so the red foxes and mountain goats (the latter considered to be migrants to the park). Mountain lions, bobcats, and especially lynx are there but almost never seen. Small carnivores you might see include badgers, river otters, and raccoons. 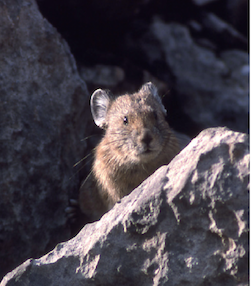 Then there are the most common rodents: yellow-bellied marmots, Uinta ground squirrels, muskrats, red squirrels, and the tiny pikas or coneys. Beaver have become more numerous in recent years. And this is just a sampling. There are many smaller mammals like voles, mice, bats, and shrews. For a small investment, you can watch from afar the comings and goings of Yellowstone Park’s wildlife. This is a worthwhile website with reports by real naturalists and experienced wolf-watchers. Besides the almost daily reports, you can also find pictures of the animals and birds the naturalists are seeing. Spring is a great season to be watching all this! And it’s a time when—for personal reasons—very few of us are likely to be there. In fact, these weeks are also not the best time to visit most of the park, because not all roads and facilities are open yet, and because the weather is usually quite iffy until mid June or so. Today I’m thinking about Yellowstone’s animals, the “charismatic megafauna”—an expression that makes me smile. And I’m anticipating being able to present my first-ever guest blog, by my friend Rita Reining. Rita took part in a late season wolf-watching seminar this winter given by the Yellowstone Institute. Their next winter’s classes are not yet listed but will be up by August or September. Awaiting her article, I’ll pass on some thoughts inspired by a Science Magazine article, “Lessons from the Wild Lab,” March 20, 2015, pages 1302–7. A video circulating on the Web a few months ago attributed recent changes in Yellowstone’s environment to the reintroduction of gray wolves, beginning in 1995. The video seemed to claim that the observed changes, all the way through the animal and plant kingdoms to the re-channeling of rivers, were due to predation on elk by wolves. However, according to writer Virginia Morell from Yellowstone, scientists disagree as to whether or not the coming of the wolves was the only trigger for observed changes “in species from elk to coyotes to willows to bison to beavers.” She cites cougars, grizzly bears, and drought as partners in the park’s transformation. Wolves and cougars were both extirpated by the early 1930s. Coyotes, however, have been protected from 1936 on—a discrimination in the ruling that I have never understood, since these smaller canids can also prey on animals as large as deer or (very occasionally) elk and have even been known to attack humans. In addition to the larger predators, Douglas W. Smith, the Yellowstone Wolf Project leader, who has studied wolves for more than three decades, says that smaller predators and humans should be factored in to the great depletion of the elk herd since wolves came to the park.